Just a week after Hillary Clinton announced her plan to stop corporate tax inversions, she is traveling to Nebraska to fundraise with Warren Buffett, who led Burger King's corporate inversion to Canada last year. Clinton said last week that billionaires like Buffett are using corporate inversions to "game the system" and said that their actions are "offensive" to everyday taxpayers. "I want the Treasury Department to do everything it can to stop that kind of behavior and call it for what it is: gaming the tax system," said Clinton. She said that if new legislation is not created, she will take executive action as president to create a new "exit tax" designed to stop companies from slashing their tax bill by moving overseas. Buffett's Berkshire Hathaway was instrumental last summer in Burger King's purchase of Tim Hortons, providing $3 billion from for the transaction. The deal, which made Burger King the third-largest fast food chain, allowed the restaurant to move its headquarters to Canada and significantly lower its tax burden. Buffett admitted that it was a corporate inversion but said that tax evasion was not the reason for the purchase. The primary concern was to "make the Canadians happy." 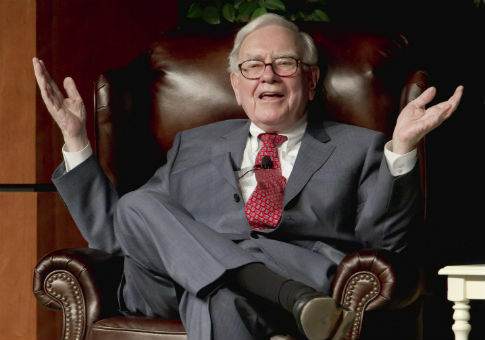 "Tim Hortons earns more money than Burger King does," Buffett said. "I just don't know how the Canadians would feel about Tim Hortons moving to Florida. The main thing here is to make the Canadians happy." Some Americans, including Democratic Sen. Sherrod Brown (Ohio), called for a boycott on Burger King after its "decision to abandon the United States." Democrats who embraced Buffett's call for the wealthy to pay their "fair share" were tied in knots over how to embrace the major Democratic donor after his involvement in the deal. Clinton not only is a close ally of Buffett; she is also invested in his firm. Clinton owns between $5 million and $25 million in the Vanguard 500 Index Fund, a mutual fund that owns over 20 million shares in Buffett's Berkshire Hathaway. The shares are currently valued at $2.8 billion. Buffett also is not Clinton's only tie to the practice of corporate inversions, as Pfizer just purchased Allergan for $160 billion and will be moving its headquarters to Ireland. Although Clinton has attacked Pfizer for the deal, the company has contributed between $1 million and $5 million to the Clinton Foundation. The Vanguard 500 Index Fund also owns $2.43 billion worth of Pfizer stock and $1.49 billion worth of Allergan. Tickets for the Wednesday morning Buffett event start at $500, but for $2,700, donors can get a picture with both Clinton and Buffett. For $27,000, individuals are invited to a private reception attended by both. Buffett has already contributed to Clinton's campaign and given $25,000 to the Super PAC supporting her candidacy. This entry was posted in Politics and tagged 2016 Election, Democratic Donors, Hillary Clinton, Warren Buffett. Bookmark the permalink.